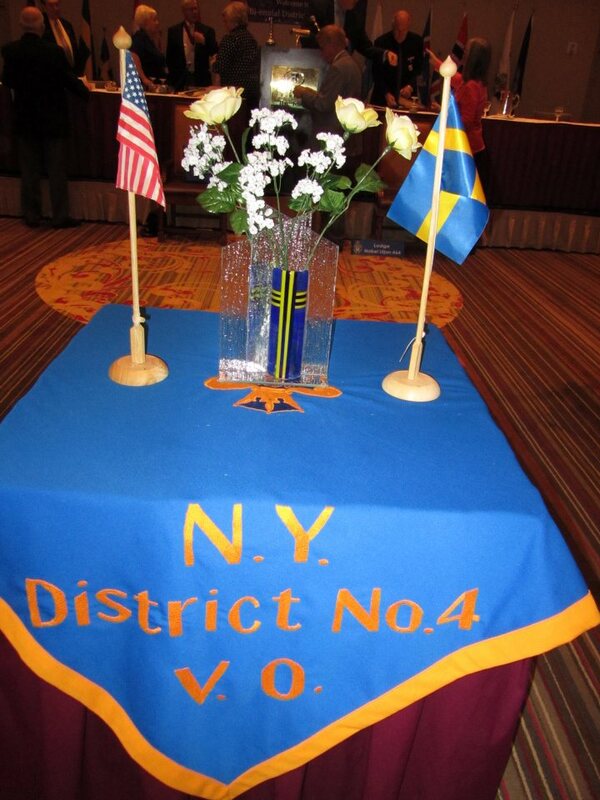 Vasa Order of America District #4 New York - "A Swedish Club"
New York has 8 Lodges in the State of New York offering Swedish culture, education, activities, entertainment, camaraderie and strong Swedish coffee! Most lodges meeting once a month with special emphasis on culture, such as Swedish Christmas including Lucia, and Swedish Midsummer celebrations. There are 2 children’s clubs, one downstate and one upstate, teaching folkdancing, language and songs. Contact any one of the members listed in the “Executive Board” directory tab above, for further information. And please know, that when you’re a Vasa member, you have “brothers and sisters” all over the world who will welcome you wherever you go. 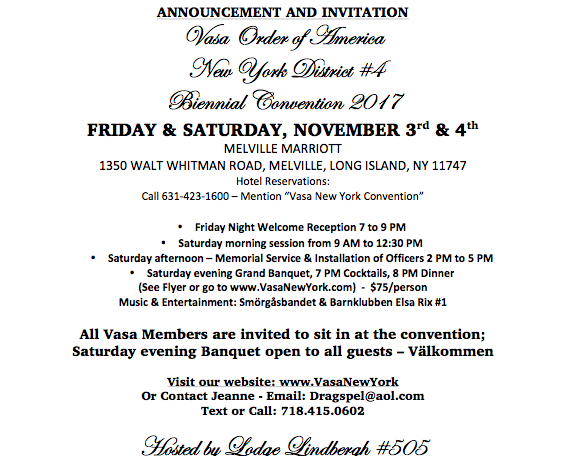 What Is The Vasa Order Of America ? 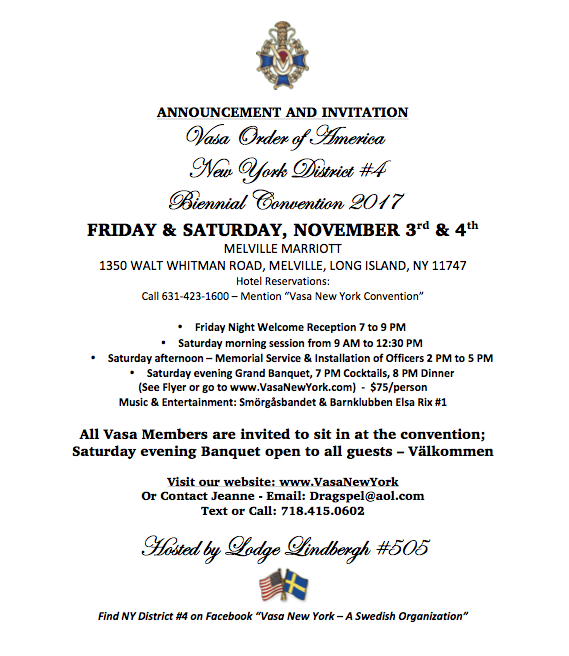 The Vasa Order of America began more than a century ago as a benefit fraternal society for Swedish immigrants to the United States. Membership at the time was limited to Swedish born men who through the Vasa Order met others who needed to learn the new language and ways of the new country. A benefit fund provided a small income to members during sickness, and a death benefit at the time would cover final expenses. The Order is named for Gustav Vasa, who liberated the country in the 16th century and became the first King of modern Sweden. 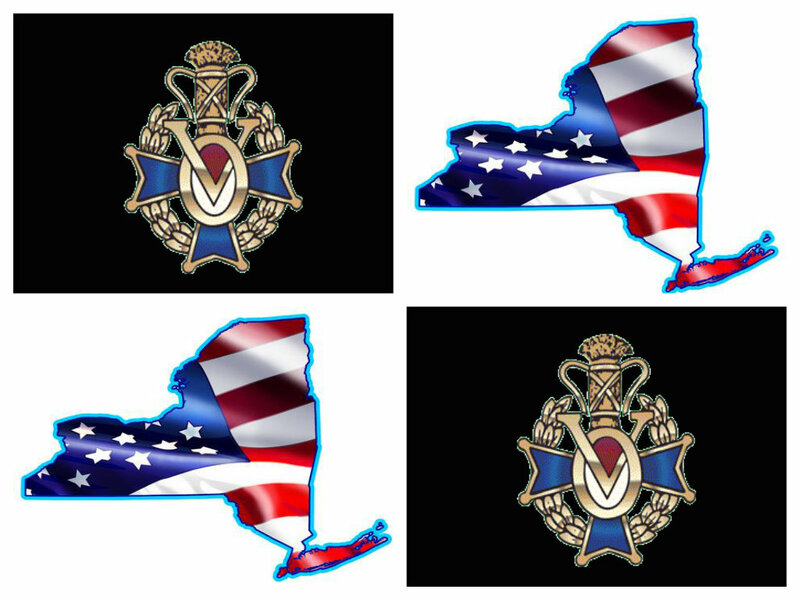 The name of Vasa reflects the Order’s roots as a Swedish American Fraternal Organization. Swedish in origin, the Vasa Order welcomes men and women over 14 years of age of Scandinavian roots, (Swedish, Norwegian, Danish, Finnish or Icelandic,) and their spouses who would like to rediscover the traditions of their forefathers; and those who are not of Nordic ancestry but are committed to the promotion and advancement of Swedish and Nordic heritage and culture. We do this by encouraging the observance of special dates old and new, such as Midsummer, Leif Ericksson Day, etc. with proper festivities including Smorgasbord and Scandinavian music. While much of our activity occurs during the summer season, in mid-December it is hard to find a Vasa Lodge where Luciafest is not observed. Many lodges and districts sponsor Language classes as well as Children’s clubs in which Folk Dances are learned and performed in authentic costume. Whenever we can, we take part in programs where our rich heritage may be shared with the public. There are more than one hundred and fifty local lodges in the Vasa Order, governed by 18 District lodges in the United States, Sweden and Canada. The most popular monthly meeting nights are Friday and Wednesday. While you may apply for membership to any of our lodges, if you were to join the closest one to your home you would find it easier to participate in meetings and activities.